Developments in Virtual Reality (VR) and Augmented Reality (AR) will offer viable ways for brands to engage emotionally with consumers in 2017, according global marketing intelligence service WARC. VR and AR have been identified in Warc’s Toolkit 2017, produced in association with Deloitte Digital, as key marketing trends which marketers will be looking to in the coming year. Virtual reality could revolutionise the e-commerce sector, leading to a decrease in product returns, and it has significant potential in the travel, hospitality, design, education, engineering and healthcare industries. In the travel sector, the technology gives would-be travellers a taste of their possible destinations, hotel facilities and rooms. 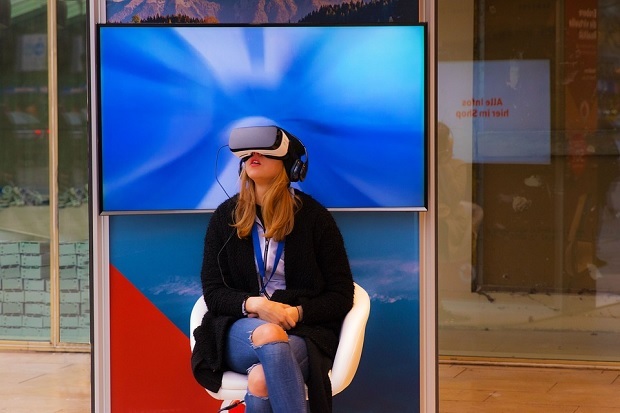 Whilst shopping could become one of VR’s top applications, allowing connected consumers to experience a full retail environment from their own home. Two factors have driven VR into the mainstream: more devices have arrived on the market and the prevalence of smartphones puts a high-power display into a large proportion of the global population. As the technology develops, forward-thinking brands are sharing immersive experiences with customers that provide a sensory overload and block out all distractions from TV, websites, and apps. A study by ad tech firm YuMe and research firm Nielsen using neuroscience techniques found that VR elicited 27% higher emotional engagement than in a 2D environment and 17% higher emotional engagement than a 360-degree video on a flat screen. Additionally, VR viewers were emotionally engaged 34% longer than when they viewed the same content in 2D and 16% longer than when they watched it in 360-degree video on a flat screen. Brands can leverage virtual reality to engage with consumers as well as test and explore new business models. In June 2016, Absolut Vodka unveiled a mobile app that used VR to successfully drive its mission of delivering unique nightlife experiences. The phenomenal rise of Pokémon GO was heralded as a tipping point for AR. Launched in July 2016, Pokémon GO’s downloads reached 50 million installations before the end of the month. Looking ahead, marketers face two opportunities around AR: First, piggyback on AR properties that are popular with their audience, like Pokémon Go, as more AR-based games and applications emerge. Second, formulate bespoke, branded experiences. Fashion and beauty firms, for example, can let people digitally ‘try on’ clothes and cosmetics. Beauty group L’Oréal, has been exploring a number of technologies to offer greater utility and personalisation. Perhaps its most popular foray into this space to date is Makeup Genius, a mobile app that turns smartphone cameras into virtual mirrors enabling consumers to digitally ‘apply’ L’Oréal Paris products scanned in a store. The app has been downloaded more than 16 million times. AR via mobile devices is likely to be significant for many marketers because it offers great scope for how, when and where consumers can engage with campaigns, branded collateral, packaging and product. It also opens the door to technology such as visual search. AR also relies on existing mobile behaviours that users are comfortable with, such as using the camera. VR has significant potential as a research tool, particularly in the field of ethnography. Simplot, an Australian food manufacturer, combined VR with ethnography to inform product development and communications. The research approach adopted was to place 360-degree VR cameras in consumers’ kitchens; key stakeholders could then ‘walk into’ their customers’ homes and observe their preparation and interaction with food, just using a simple overlay on their smartphones. Virtual and Augmented Reality are one of six key trends featured in Warc’s Toolkit 2017. The annual report is produced in association with Deloitte Digital.